Corporate Relocation Consultant: A member of our team will map out a customized moving plan including an accurate estimate, our Commercial Prep and Packing booklet, and a thorough explanation of the entire relocation process. Move Coordinator: The coordinator will confirm time and date of your local or long distance business move, and provide your confirmation package. This team member also manages the details of your office move and is available throughout the process to answer questions and see your move through to completion. Custom Crating & Packing: Our custom craters can build specialized protective containers for safe transportation of HDTV screens and sensitive electronics. Our packers can assist with the packing process as much or as little as needed. Your involvement with proper labeling and room designation is encouraged to make the move proceed efficiently. Drivers & Movers: The My Guys Moving Commercial Division has professionally trained drivers & moving experts who are skilled in protecting offices and facilities by using careful preparation techniques and specialized materials and equipment. 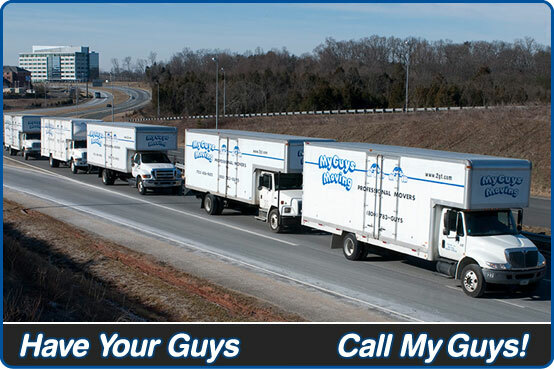 The My Guys Moving team includes professional moving consultants and on-the-ground moving professionals, who work together to provide dependable service to relocate your business and resume operations. Our list of satisfied clients ranges from individual private business owners to Fortune 500 companies. As trusted, reliable office movers, we’ve been tasked by the U.S. Government to help move facilities at Fort McNair, Fort Belvoir, and Walter Reed Army Medical Center. Regardless of the size of your business, we can provide an office moving service tailored to your corporation. We’re capable of moving a single office or relocating entire businesses. In addition, our business movers are prepared to ship your belongings domestically or internationally. Looking for Office Movers for Your Business? My Guys Moving & Storage is at the forefront of the office relocation industry. 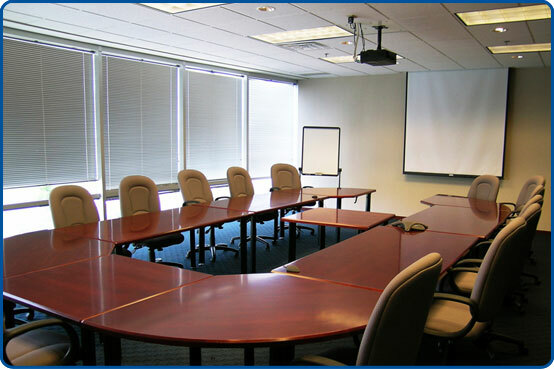 Our commercial division provides all of the services that get your office or corporation to its new location with minimal disruption to your operations. Years ago, we started offering office moving services to businesses located in the Virginia, Maryland, and Washington, D.C. Today, we’re proud that we’ve expanded our reach beyond the DC Metro area. Our commercial movers can help relocate businesses anywhere in the country locally or long distance. 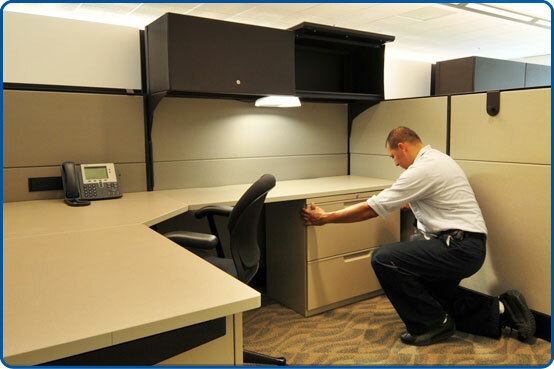 Since cubicles and furniture systems can be found in most offices, the My Guys Moving Commercial Division is equipped to deliver, install, and reconfigure these systems. We’ll streamline your business relocation by integrating our services with your project management requirements on the private or federal level. Our records retention and inventory management services will ensure that your clients’ sensitive information is kept private and secure. The My Guys Moving commercial division process minimizes business disruption and protects office assets while managing the intricacies of your business relocation. Our team is ready to help you and your office staff with your next local or long distance business move. If you’re an executive or hold a high-ranking position within a company, we can customize moving services that fit your particular goals. As a full-service moving company, we offer services that extend beyond the interior of your office. Take advantage of our vehicle transportation assistance so that you can enjoy your car, motorcycle, or boat at your business destination. If you need extra time to settle in to your new office space, our secure warehouse facility is available at a low monthly rate to store your business materials and equipment until you are ready for them. As our clients attest, this type of commitment to you and your business’ success is what separates us from other office moving companies.